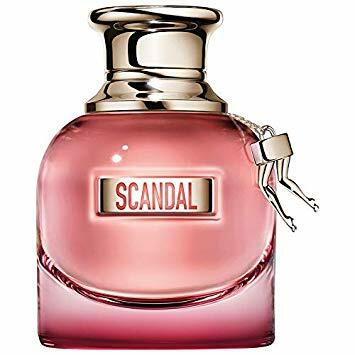 Home / Style / Jean Paul Gaultier "SCANDAL"
Embody the persona of a powerful woman with Jean Paul Gaultier Scandal, a fragrance collection that oozes provocative allure. For 20 years Jean Paul Gaultier fragrances have only come in busts, but for 2017 it’s all about the legs. Intensely addictive, Scandal defies conventions and breaks stereotypes, urging all women to explore the many sides of their personality. The honey laced perfume is joined by blood orange for day and patchouli by night; a perfume that can be a woman’s ally at dusk or dawn. Pleasure your senses with the Jean Paul Gaultier Scandal By Night Eau de Parfum Intense Spray, an addictive women’s fragrance that’s deliciously compulsive. 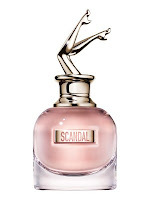 Scandal By Night taps into the darker depths of sensuality with its tempting creamy-floral composition. Powered by the wild feeling of freeing your inhibitions, Scandal by Night’s daring persona teases your senses with tuberose and honey facets, heightening your mood, confidence and senses with its warm and intoxicating fragrance trail. Deeper than the original Scandal perfume, in Scandal By Night we see the creaminess of gardenia being replaced with the sweetness of honeyed tuberose. Sticky and rich, the smoothness of tonka bean and sandalwood create an almond-like scent, kissing your skin with an almost-edible finale that’s addictive, alluring and most definitely scandalous. Scandal opens with a bright and fruity burst of blood orange, its subtle sweetness steering the senses toward a cascade of gardenia petals. The intoxicating character of gardenia gives the composition a sensuous character, which pairs beautifully with the fragrance’s key note: honey. The heart rolls out the red carpet for honey, drawing out its sweet yet deep character by pairing it with the dark tones of patchouli, for a sensuous and inviting signature.